The food fair offered the best of the best when it comes to street food and they were all gathered together at the biggest street food event in the country. And on top of it all, everyone was treated to fun games, exciting promos, and must-have freebies arranged by the event’s sponsors; Unilever Food Solutions, Knorr, Nestle All-Purpose Cream, Maggi, Pure Food Crispy Fried Chicken, Tender Juicy Hotdog, Purefoods Chicken Breast Nuggets, Del Monte, Joy, P&amp;G, CDO Sweet Ham, CDO Ulam Burger, Bibbo Hotdog, Funtastyk Young Pork Tocino, CDO Chicken Franks, Sesame Hotdog, Holiday Squid Balls, and Idol Cheesedog. They gave it everything they’ve got, all the techniques, knowledge, and skill to win because only one will get to take home a life changing prize, his/her very own food stall at SM Hypermarket rent-free for a year as well as P100,000 pesos worth of prizes including large food packs, ingredients, cooking equipment, etc. courtesy of SM Hypermarket’s Food Service Center; the home of big packs and big savings; and other hotel, restaurant, and catering needs. 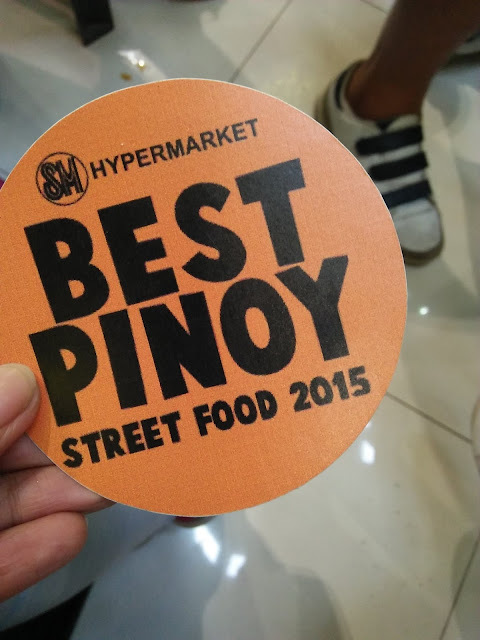 The top ten contenders for the title of Best Pinoy Street Food 2015 Grand Winner was made up of incredibly talented cooks who surprised everyone with their kitchen handiwork. Every contestant had his/her own specialties and cooking secrets that were used to conquer the competition. 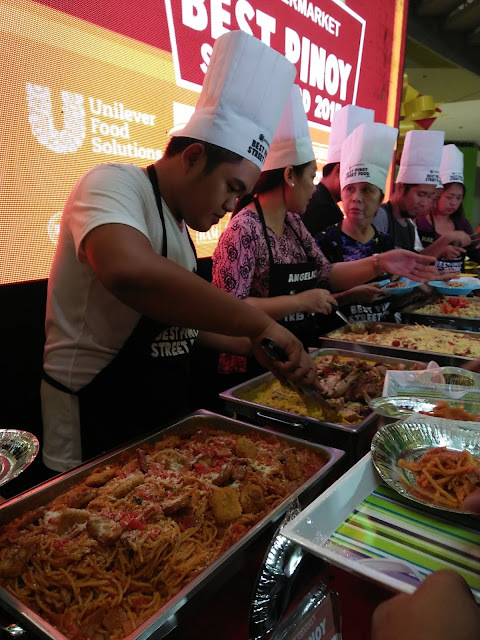 There were the veterans who have been in the kitchen business for decades, there was a culinary school graduate who proved his kitchen expertise, as well as an entrepreneur with an innovative version of a classic Filipino merienda. In the end, Angelica Libed of Aling Mila's Food Delivery and Catering of SM Hypermarket Valenzuela emerged as the 2015 Best Pinoy Street Food champion at SM Hypermarket Sucat last November 30 and was crowned by Chef Boy Logro himself. Angelica Libed came home with 100,000 worth of prizes as well as the promise of opening her very own food stall at SM Hypermarket rent-free for one whole year.